If you would like some extra time to enjoy the lake, this is the tour for you! 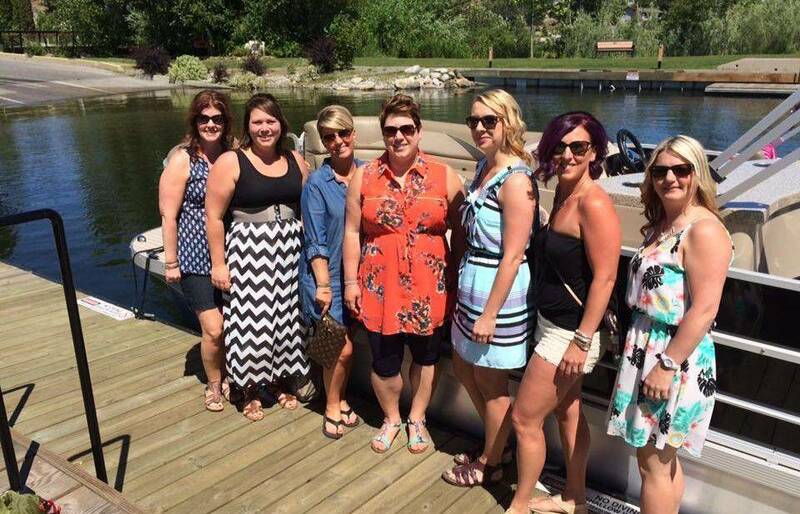 This tour includes tastings at a minimum of 3 wineries and a 2 hour cruise on Okanagan Lake. Feel free to bring your bathing suit and take a swim or bring snacks and beverages and relax on our luxurious pontoon boat while we cruise the lake. Minimum 4 people required for boat tour. Advance reservations required. Please note: the itinerary and schedule for the wineries and the boat tour are subject to change without notice based on weather and availability. Your reservation assumes release of the operator from liability or any assumption of claims, risks and indemnity. Cancellations made at least 14 days prior to the tour date are fully refundable for groups of 7 or less people. We are happy to change the date or time of the tour at least 7 days prior to the originally booked tour, based on availability for groups of 7 or less people. Large parties of 8 or more people are required to leave a 50% non-refundable deposit at time of booking. The balance owing is due 30 days prior to the tour date and the entire tour amount will be non-refundable at that point for large groups with 8 or more people. Gift Certificates have no cash value and are non refundable. By making a reservation you agree to our cancellation policy. Boat Wine Tour reservations are required to leave a 50% non-refundable deposit at the time of booking and the tour will be 100% non-refundable 30 days prior to the tour. Prices are per person and in Canadian Dollars. Pricing is subject to change without notice. Vines & Views Wine Tours requires all guests to conduct themselves appropriately. If a guest is extremely intoxicated or acting inappropriately, Vines & Views Wine Tours reserves the right to dismiss them from the tour without refund. The legal age to consume alcohol on British Columbia is 19, two pieces of ID is required.